Crickey, it’s the last day of September already, I really should try to get to grips with things properly now. Health worries have cut across ‘ordinary’ work, so aiming to at least keep the grey matter and limbs in working order through preparing (on good days) for the downshift of lifestyle that the said ‘health issues’ dictate are very likely to be necessary. 1) Try not to panic about the money (on-going, every hour, making my own head hurt). 2) Join helpful sites such as Money Saving Sxpert (done, very helpful site)! 3) Train Seamus and Boo to eat less expensive dog food – including curbing Seamus’s current appetite socks and slippers (on-going, gradually introducing cheaper brands: food, not socks and slippers). 4) Train Himself and various offspring to eat less expensive food (on-going, depending on success (1) of may link to (3) above,could save a fortune)! 6) Get this freezing cold house insulated before the winter (all in hand, should be done tomorrow: “yay” to warmth and cutting down on heating bills, “d’oh” to mess and noise to be made between now and newly insulated house! Have been instructed by Himself to shut myself away and shout instructions to the men from the comfort of the sofa – he’d better hope I don’t get too used to that)! The irony is, of course that being off sick is giving me the time, as and when I feel up to it, to address some of these issues (organising the insulation is a good case in point) in order to prepare for a more frugal lifestyle that may come about because of being less able to work the hours and profession that have had a direct impact on my health. Having this window of time has been a good chance to stand back and look at what’s important. I’ve always been a simple pleasures, make do and mend kind of person, so downshifting will just be a chance to be myself, instead of some exhausted professional robot, I guess. There are loads of books out there on the subject, so going to add a book list somewhere at some point, if it helps anyone else! Anyway, October tomorrow, first downshifting Autumn! 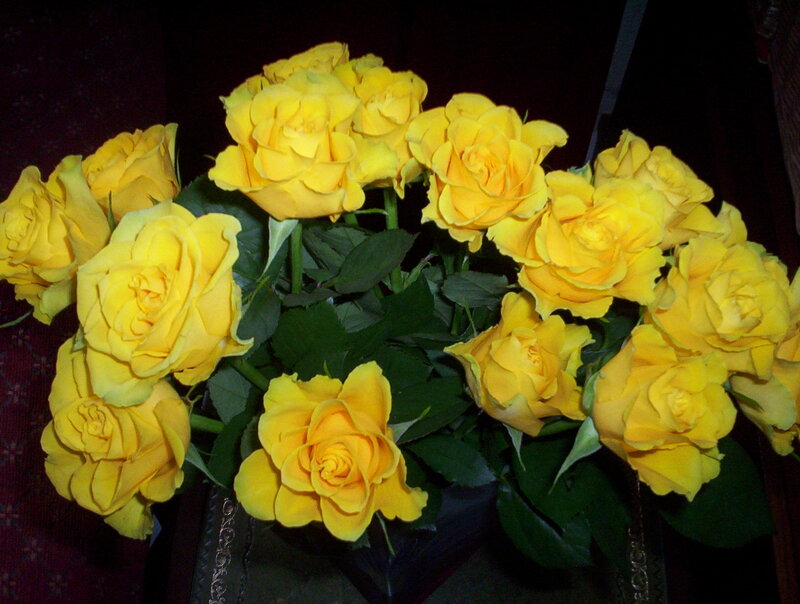 BTW: Himself bought me some get-well roses, they’re gorgeous! ← Bargain of the week! Hi, thanks for stopping by my blog! Had a look around and like what I see 🙂 I hope October hails the beginning of better health and some success on your self-sufficiency/downshifting quest. It’s a long journey that I’ve barely started on, despite having got into it three or four years ago, but it’s definitely a change that brings about lots of (enjoyable) challenges and a general feeling of achievement and contentment too. Of course, there are times when it’s hard and speaking as a freelance writer myself, times when you wonder what on earth you’re doing and why you’re doing it, but it all has a habit of working out in the end.